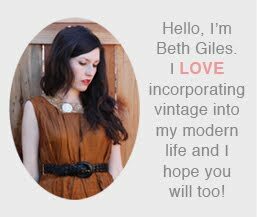 Vintage Clothing Blog | Vintage Wedding Dresses | Salvage Life: Happy New Year! Happy New Year! What an amazing year 2012 was, both personally and for the business. Fiona Lee was born, I hired my first employee and I opened my new online shop! 2012 was hard, don't get me wrong, I walked with friends through a lot of suffering this last year and I really struggled to juggle work and family, but all in all, I feel so blessed. I am trying to not have a lot of expectations for 2013. I'd like to survive. Not a bad goal right? For Salvage Life I have some new plans for the blog and things I want to do with marketing, inventory, etc, but I won't bore you with those details. I 'd like to get back to pre-pregnancy weight and enjoy my friends and family this year. I hope to be less stressed and more flexible, ha. I'm looking forward to what this new chapter holds, Happy 2013! Wishing you and yours a Happy 2013. Yes, we too had lots of suffering but that's what life brings us at times. Let's be positive and move on to make the best of this New Year.